Ballston is a growing neighborhood in Arlington, Virginia, that combines condominium developments with a mix of office and retail outlets. While the community retains a small town feel with its more established retailers such as the Ballston Mall, it is also the home of a number of new high-rise condo developments, including the Alta Vista and the Monroe. Urban conveniences aside, Ballston offers a number of parks and wide open spaces for walkers, joggers, and bikers. Ballston features a few townhouse communities and single-family homes, many of which have been rehabbed or recently renovated. Ballston is bounded on the north by I-66, on the south by Wilson Boulevard and on the east by Kirkwood Road and the intersection of N 10th Street and Wilson Boulevard. 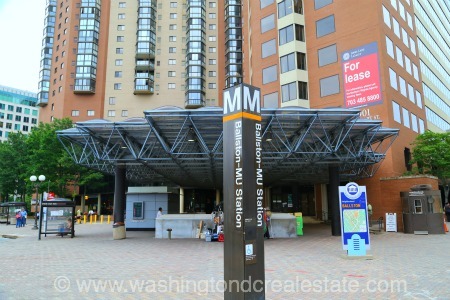 The community is served by the Ballston and Virginia Square Metro Stations on the orange line.